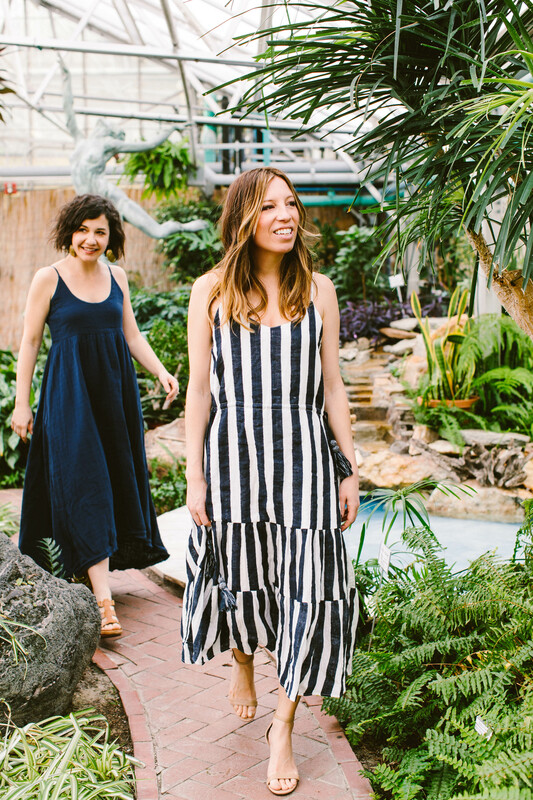 Ahhhh…I’ve been so freaking excited to show you Voloshin’s spring line. They’ve brought back many of my favorites from last year (cloud dress, the drawstring-waist dress, sweeping maxis, floaty tees), but with updated details. Voloshin, if you don’t already know, is a Philadelphia-based clothing line designed by Amy Voloshin. 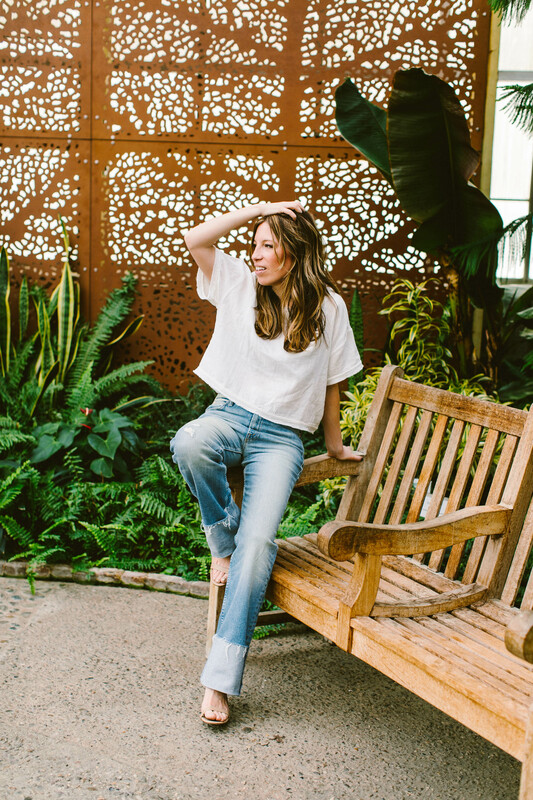 Amy designs all of the prints herself, and her pieces are handprinted and produced in India by skilled artisans (with a focus on fair labor and ethics). 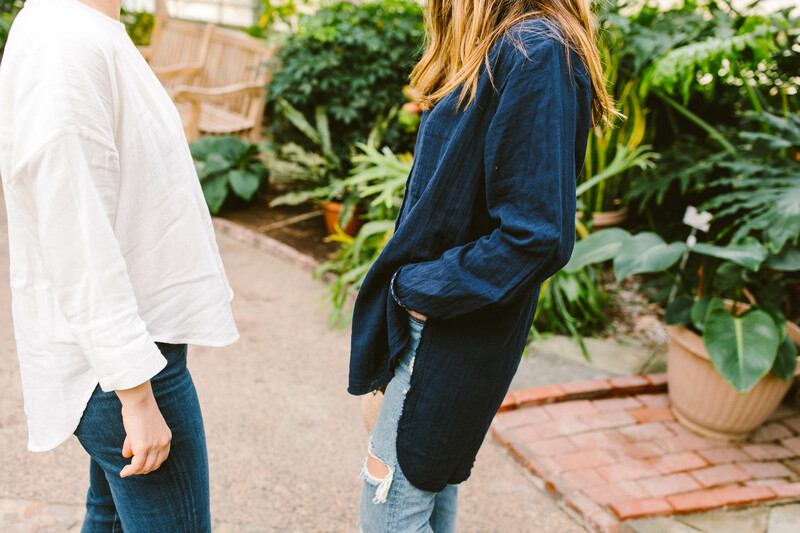 The results are a collection of soft, natural fabrics in breezy, flattering silhouettes — basically the only things I want to wear all summer. And if you’ve been following The Mom Edit for any length of time, you’ve likely seen me in one of Amy’s pieces. I wore them all over Europe last summer, and they’ve become a ‘down the shore’ staple. Personally, I always find her collections perfect for travel, but this spring’s collection was inspired by “the urge to pack a bag and escape” and YES. I get that. Furthermore, we have a special discount code: take 15% off with code MOMEDIT15. None of these pictures really do the line justice. The fabric (and construction) is just really special. These pieces are simply a joy to wear. 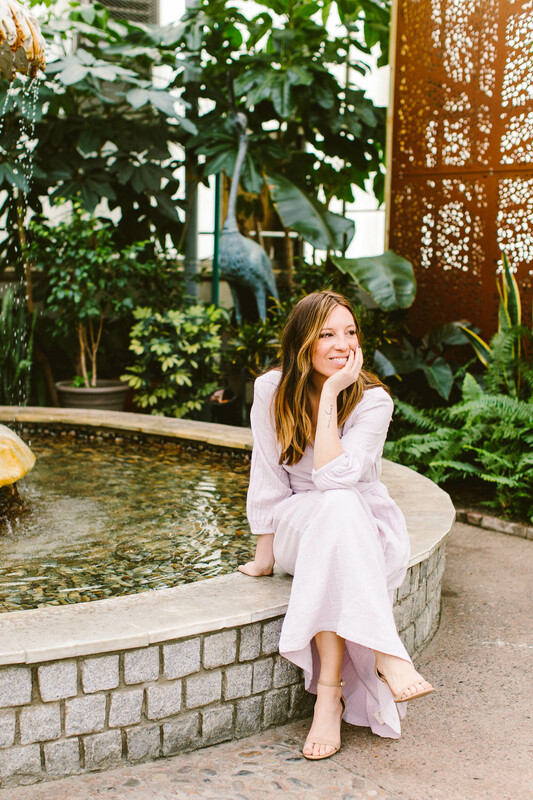 The Setsuko Maxi Slip Dress (on Linzi) – This dress is so flirty and fun. It’s insanely soft and the straps are adjustable (I like the neckline a tiny bit lower than Linzi does, haha). 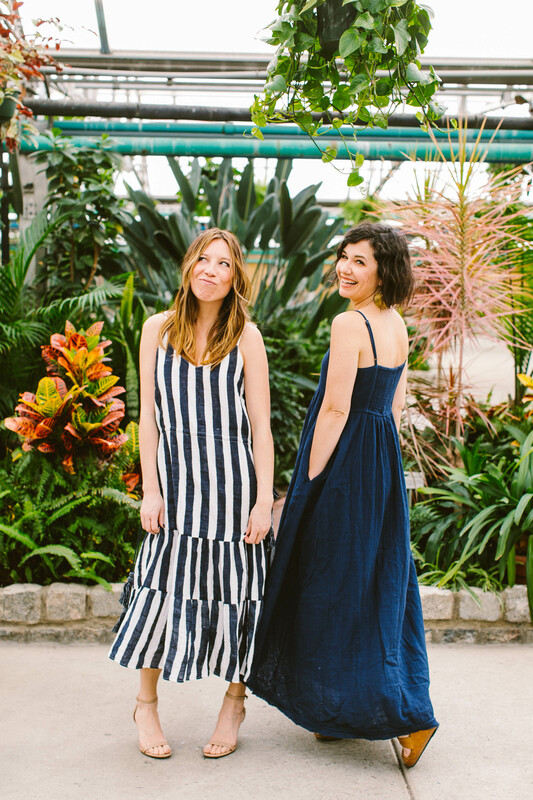 The Margo Tiered Drawstring Slip Dress in stripes – THIS DRESS. 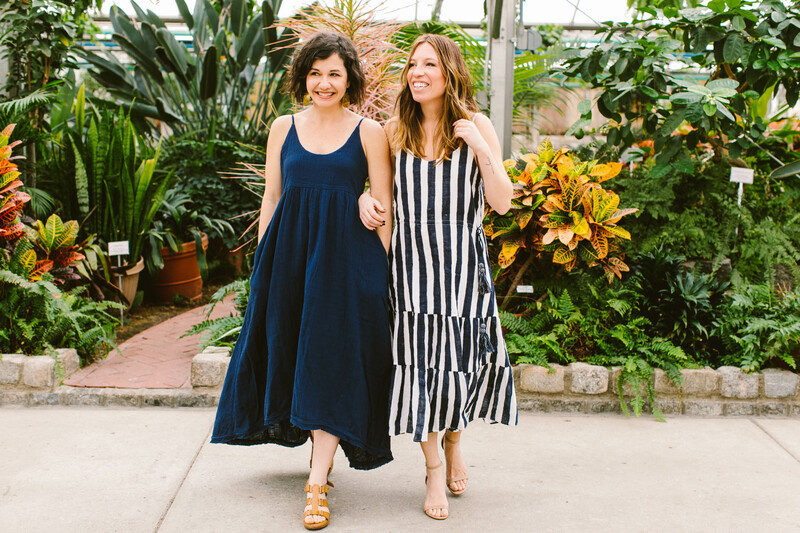 This is the exact same dress I took to Europe (and the shore) last summer (see it here and here), but it’s been updated for 2019 with bold fresh stripes. I’m totally obsessed. 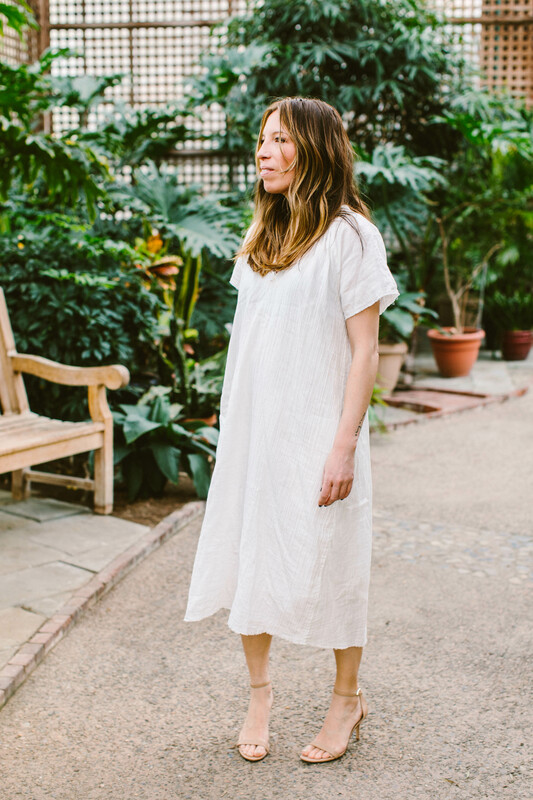 The Hisako Frayed V-Neck Peasant Dress – This is the 2019 update of what I’ve nicknamed ‘the cloud dress’. It’s so insanely soft and floaty and would be perfect for hot days this summer. Also in navy. 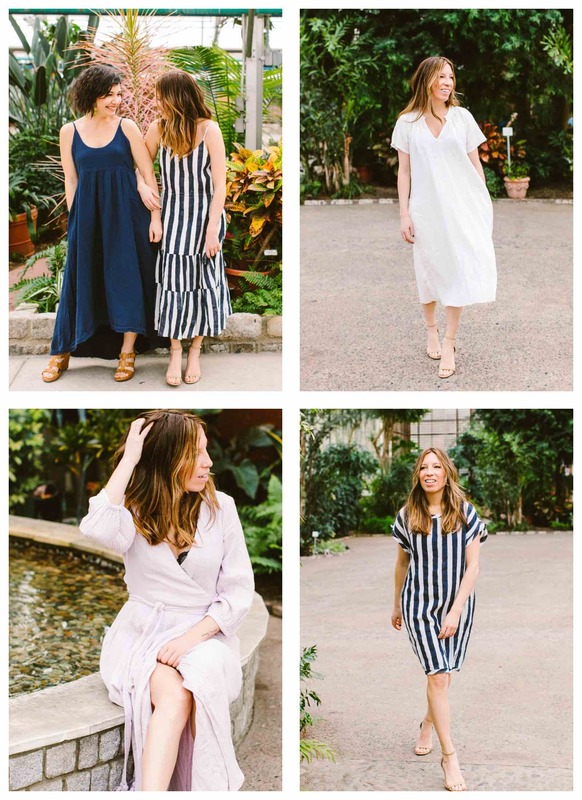 The Louisa Wrap Dress (XS/S) – This gorgeous thing also comes in that fabulous stripe pattern or a rich navy, in addition to this soft, pretty lavender. I honestly had a hard time deciding. The dress is so insanely elegant (yet completely machine washable), so it’s one of those unicorn dresses that only look fancy. I love it. 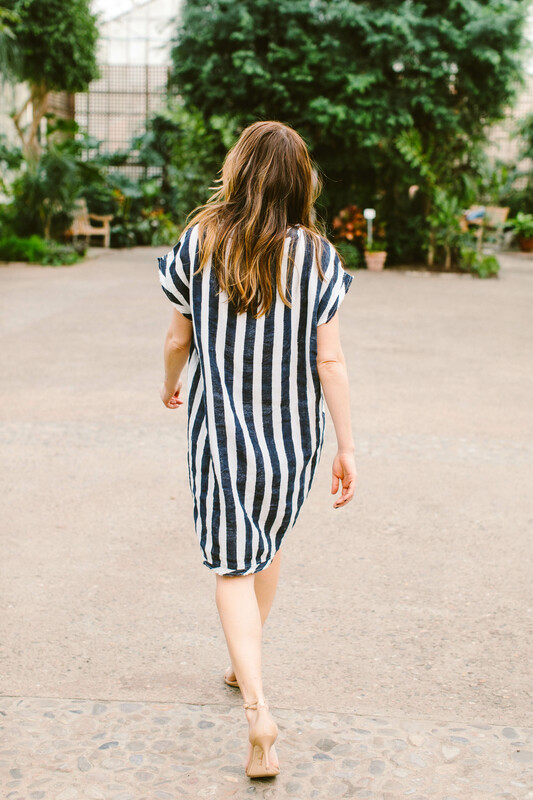 Florence Tee Dress (XS) – This easy dress comes in the stripe that I’m wearing, or the same pretty navy fabric of Linzi’s dress. The bottom hem is pretty cute. 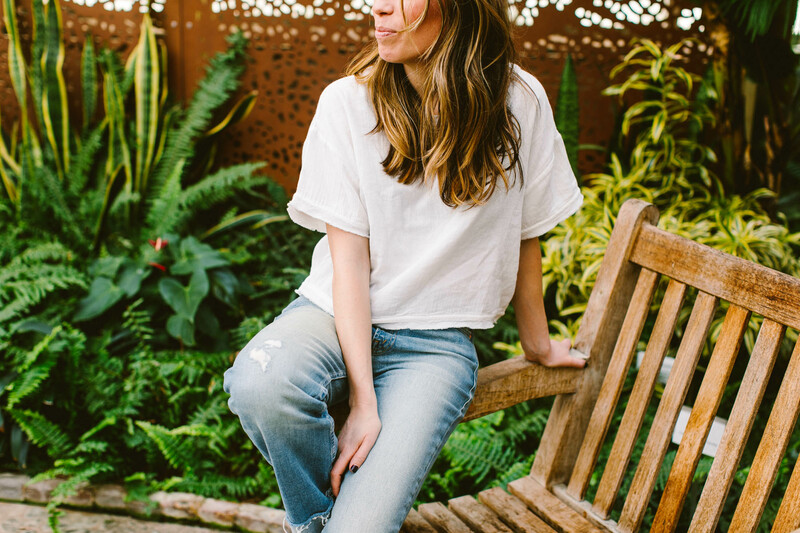 The Leslie Tee (XS) – Year after year, Voloshin’s easy little tees are my favorites. They’re just so flattering and breezy, and basically perfect for hot summer days. This is my current favorite. Also available in all of the colors from the spring line: navy, lavender, and the bold stripes. Navy Tunic – this one isn’t yet up on their site — I’ll update this post when it is. But for now, consider it a close-up of that gorgeous navy fabric. It’s GOOD. And if you need the code again, it’s 15% off with code MOMEDIT15. ❤️❤️❤️all of these. And a local boutique by me in Chestnut Hill, Noble Goods, has started carrying this line also. Simple and gorgeous. Thanks for highlighting! 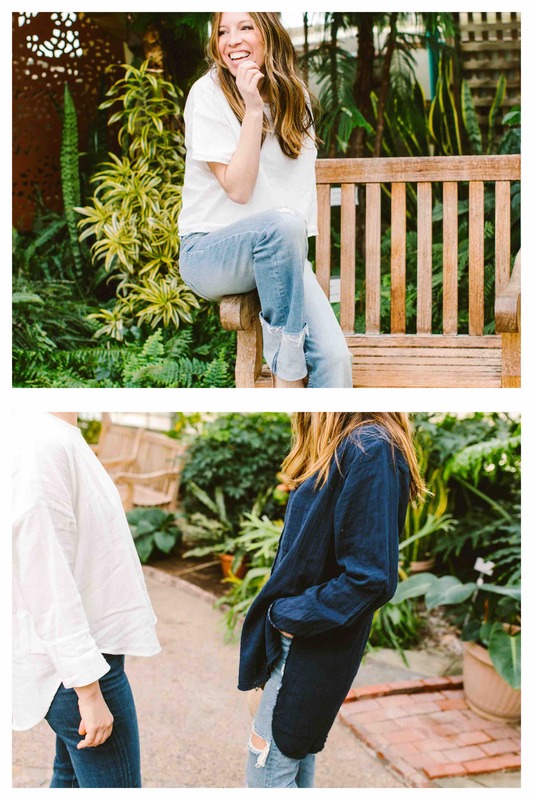 Love the jeans in this post!! Mind sharing the details? Linzi that blue dress needs to be in summer rotation! You look so beautiful! !